You might have heard how important it is to release toxins and detoxify your body. that’s because toxins can cause havoc with your body’s health. It is not only the toxins that we find in our modern world, such as pollution, second hand cigarette smoke and pesticides but also the toxins that our body produces itself – gut microbial imbalances from parasite overgrowth, yeast or bacteria, prolonged stress and/or eat inflammatory foods. A well-functioning liver is critical in creating energy, vitality, clear skin, energy as well as aiding in preventing illness. 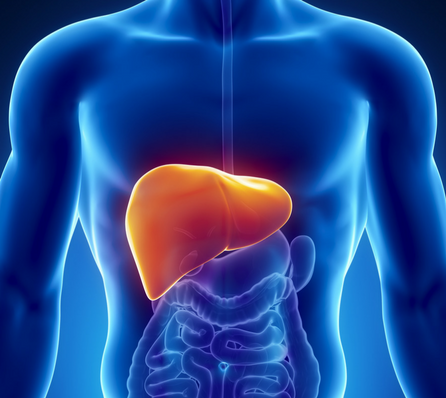 Our liver, is one of the largest organs in our body, and converts nutrients from our diet into substances that the body can use, store, and supplies the body with these substances when needed. When your liver is functioning properly, it absorbs the toxins from the body, converting them into harmless substance, before eliminating them from the body. Your liver functions optimally when we provide it the nutrients to do so. Your liver requires vitamin K in order to produce proteins that are critical for blood clotting. Other functions of your liver are to regulate your blood sugar levels and turn fat into energy. Yellow eyes – when the whites of your eyes (the sclera) turn a light or dark yellow. Sulfur is critical for liver detoxification as it is required for the synthesis of your body’s most required antioxidant, glutathione. Glutathione is required to process and eliminate toxins in the liver. Sulphur rich foods include brassica vegetables, such as broccoli, cabbage, cauliflower, Brussel sprouts and bok choy, as well as onions, shallots, garlic and leeks. These foods can be seen as potent detoxifiers, so aim to eat at least two servings of these foods every day. These foods are rich in glutamine, the biggest amino acid in the body. Amino acids are the building blocks of protein, help gut function, the immune system, and support liver detoxification. They also contains glycine, which assists in glutathione production which is a potent anti-oxidant and detoxifier. Glycine also supports in detoxifying from heavy metals which are abundant in the world we live in today. Leafy greens and fresh herbs like parsley and coriander are potent detoxifiers, I also recommend greens that are particularly rich in chlorophyll, like chlorella. Chlorella is a known detox agent for heavy metals, chemicals and pesticides in your digestive tract. Eat fat and feel good about it! Fats, including saturated fat, are essential in creating good health. A high majority of toxins are fat soluble, and in fact your body fat accumulates 10 to 100 times more toxins than is found in your blood. Your body is trying to protect you from these toxins by storing body fat. by doing this, and as a result this leads to inflammation and weight gain. By consuming fats, it aids in eliminating toxins from the body. By eating liver, you receive all the nutrients your body needs in order for your liver to optimally function. It is one of the most nutrient dense foods on the planet, containing an abundance of B vitamins, zinc, CoQ10, folic acid and iron. There are many ways you can introduce liver into your diet – you can read some great ideas here. Of course, these foods will aid in daily detoxifying, however, there is nothing more important than avoiding the toxins in the first place. The more you expose yourself to them, the more pressure you will place on your liver, resulting in digestive issues, a ‘foggy brain’, weight gain and a range of other illnesses. When possible, choose organic food, use natural cleaning products and skincare products as well as filter your water. Just these few things will make a dramatic impact to your liver’s health. Great reminders from your posts. Thanks.